Home / Career / Education / Why The PMP Certification Is So Popular Today? Why The PMP Certification Is So Popular Today? Project Management Institute or simply PMI is the legal body, which provides PMP certification after taking the examination conducted by the same. The worldwide validity and recognition of this particular certificate make it necessary to learn more about its origin and how to apply for it. More and more professionals take this exam every year to test their skills. One of the conditions to take the PMP exam is to have more than two years of working experience. How to get ready for this exam? Since this is a challenging and difficult exam, it is advisable to get training beforehand. PMI has some particular requirements that should be fulfilled so that you become eligible to apply for it. Taking training for at least 35 hours before enrolling is mandatory in order to take the final examinations. Since the demand for PMP certification gets higher every day, in order to screen and select the right students prior to their enrolling, they are required by Project Management Institute to come from a reputable professional institute. 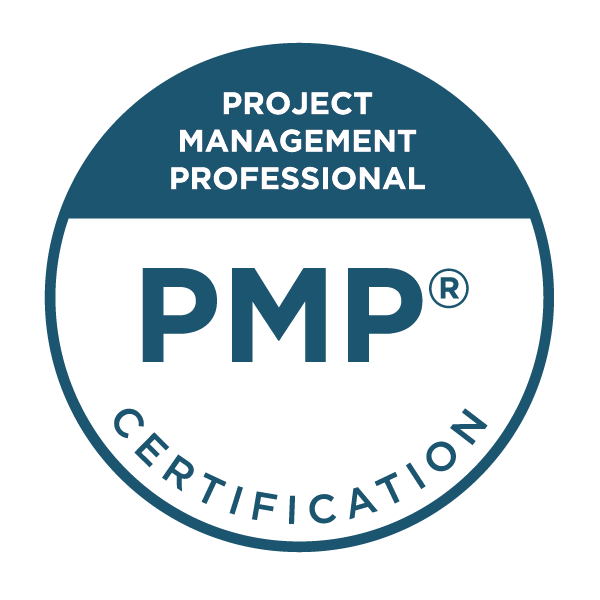 Why it is worth to take the PMP certification? The managers that are certified receive a salary, which is approximately 10 per cent higher compared to those who don't take the PMP certification. There are many today that get a great career having this certificate. This examination becomes popular all around the world. According to the statistics, people from approximately 125 countries worldwide enrol to take the PMP certification yearly, while the allotted seats for this exam are one hundred thousand. PMP examination is known for its seminars, group discussions, and paper presentation. The main goal of this examination is to check the overall level of a person's confidence, as well as the level of knowledge and the skills to communicate freely with other people. There is a big distinction between the employee who have taken PMP certification and the one, who have not passed it, as the level of service will be much improved after the exam. In addition, the certified employee will be able to help others too, showing them how to become more productive and well-organized. For this reason, more and more employers prefer to choose such kind of staff to work in their companies. Thus, the optimal goal of the PMP examination is to fully develop the skills and abilities of people, giving them assurance that they can manage any challenge they might meet at work. Additionally, people who have such a certificate will have much more opportunities to find a good job and to receive a higher salary. Today managers who work in different industries can take advantage of PMP certification. Various fields are in need of certified professionals, who can develop specialized projects like enhancing the sales in any sector of a certain factory. Some politicians can also hire such people to manage their fundraising campaigns. They can also find a job in government, hospitals, schools, etc. The Project Management Institute started the Project Management Professional (PMP) certification in 1984. This certification shows that the individual has earned they know the procedures of project management. Individuals with certification did not just meet the requirements of the exam they know how to put their knowledge to use in the workforce. When someone earns PMP certification they are showing they are dedicated workers. When earning PMP certification it means a better wage, recognition and work advancement. Employers are looking for PMP certificate when hiring as well. It takes a lot of effort and training to earn a PMP certificate. Just by earning these employees stand out to their employer as well as potential employers. Training is vital to gain all the information to do well on the exam. They want to get the highest level on the exam and the only way this will happen is through study. When training for the PMP certificate there are a variety of options. They can take a class in person, a virtual study group, PMI chapter courses, training with an official, studying the PMP Examination Specification, reading the PMP guidebook as well as other study material books, including the credential handbook. They also can, and should, take practice exams. Doing this will first prepare them to know how the exam is set up from how long it will take them to work the exam. Second, it will help the exam taker to know if they understand the material and what information they really need to study. There are online forums and many blogs that cater to the difficulties of people applying for the certification. Many online forums have experts to help you tide over the difficult parts which you come across as you do an intensive study of the material. Though it seems easy to sit for the exams, studying and preparing is intensive and qualifications to apply are stringent. When an individual has taken the exam it is then reviewed. There is only a pass/fail score indicated by the number of correct answers. It is more than an exam of just the right answers because the exam taker really needs to know the information to know the answers. When certification is earned the training is not over. They still need to work on credential within the following three years. They need to earn 60 professional development units. This will help PMP certified employees to stay educated and up-to-date on all the PMP Certification Training. Obtaining a PMP certification is absolutely considered as an investment in your particular career. To obtain this certification, you will have to undergo a lot of serious studies and training. Many people find this certificate quite worth since they will have a good chance of getting a job promotion. In most cases, earning this certification is followed by a training program by the employer. Though registering and training is expensive, most people consider this as a form of investment. If you are deciding on a career change, it is advisable to obtain a PMP certification. By having a PMP, you will have more career opportunities.